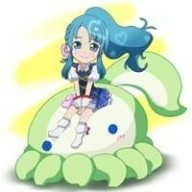 Discussion in 'Subunit/Solo News & Discussion' started by flagator21, Jul 21, 2010. Kojiharu had an anniversary cupcake in LA. Picture from last no3b radio recording. I think the poster was made by no3b fans. I saw a few of those pictures circulating around twitter after they announced that Shuukan No Sleeves was ending. Their last one will be aired on 12/25 and from 1/1 Takamina and Ryo Asai's new radio program will start. basically saying the no3b radio show is on it's last season (25th). 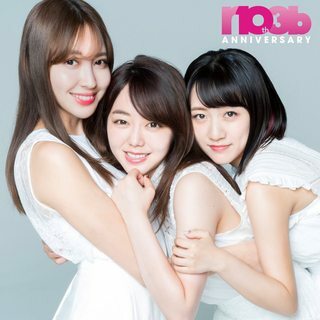 no3b will be holding a 10 year anniversary event in november!!! Video clip and more info, plus the old and the new. "It was decided to hold a live event for one night only on November 26 (Monday) when Noriebsu is the anniversary of 10th anniversary! ! As expected the 10th anniversary must do something! Please comment on a video comment from 3 people who thought that it"
"No sleeve" made of three members, Haruna Kojima, Minami Takahashi, Minami Minegishi, debuted as the first group of AKB48 in 2008. On November 26 this year, which celebrates the 10th anniversary, we will host a single live event for the first time only! Prior sale of tickets starts from 22:00 on Saturday 13th (Saturday) starting from LINE tickets at any time on each play guide. And, on October 13 (Saturday) 21:30 on the preceding sale day, we will distribute 3 people 's LINE LIVE. Because it will be the appearances with three people in the end after a long time, please also have a look at this one too! I just found out about the news because I've been to the hospital. My emotion is so great that I will put one of his latest videos from no3b because I do not have words what I feel. ^ hope this will make you get better soon ! The time when the release of the musical piece stopped was really long No sleeve's work with only three people was "Weekly ノースリー部 (nōsurī-bu)"! This is the all-night Nippon on the tenth anniversary which becomes a milestone of the unit! I think that it is possible to deliver with a feeling that it was loose and selfish like they were feeling up! Although we decided to do the 10th anniversary live concert no lie, (laugh), I am thankful that you can send it to all night Nippon! I am looking forward to the radio for the three of us for the first time in a long time! Please send me lots of mails! The radio for three people after a long time! I am worried about whether it will pass as a big crown of "All Night Nippon", but I would like to have fun like a novelie! Those who come to live on the 26 th, of course, please listen to those who are not! Another story about ANN on Nov. 7. "In the ending, Minegishi praised the performance of the talk this time as "Responsive" and gave a high rating of "98 points". Kojima also was in sync with this, "I understand the feeling, I have a good response, I enjoyed it." "
hmm is it 9 am or 9 pm (likely) ? And the Japanese Kanji have the same meaning.